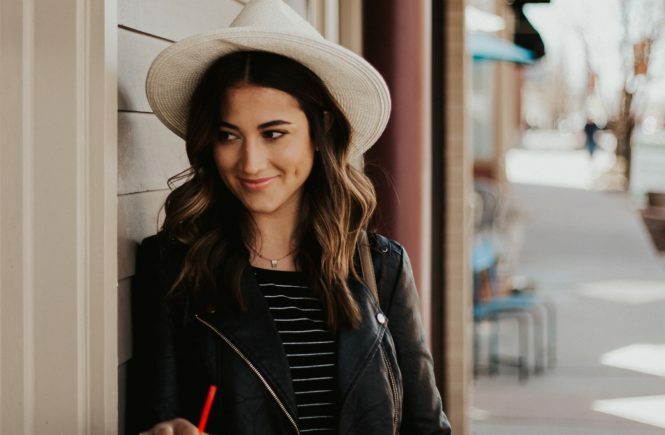 Five years ago I was sitting on my couch, just a 16 year old girl with an online shopping problem, scrolling through my new favorite website called Pinterest, when I stumbled upon a pin captioned “This girls tutorials are the bomb”. The pin was linked to Jaclyn Hill’s “Foundation Routine– how to get a flawless face” video on Youtube. Of course I repined (you can see it on my personal Pinterest here), and I went ahead and followed the link and watched the video. To say I was amazed was an understatement! At that point in my life my makeup routine consisted of powder to cover up those high school zits we all had, too much eyeliner, mascara, curling my eyelashes 20 times, and, if I was feeling fancy, some Bare Minerals eyeshadow that I got from my older sister (that I smeared on with a makeup brush I got from Costco, might I add). Watching that video gave me a whole new perspective on makeup and how much fun it could be! I started watching every single one of Jaclyn’s videos, following her on Instagram, and following other beauty vloggers after realizing that there was a whole beauty community on Youtube. Over time my love for all things makeup and beauty grew. My online shopping addiction was redirected into buying anything and everything that Jaclyn Hill suggested, practicing countless makeup looks, eventually landing a job as a freelancer at MAC Cosmetics, and even doing makeup for a few weddings. I am obsessed with the creativity and the fun of it all, and it all started because of that video. Now, you can only imagine that I have bought every single thing this woman has ever touched. Remember her “Rose Hill” days with Gerard Cosmetics? Got it. Champagne Pop? I own 3. And her brand new palette with Morphe Brushes was no different. My alarm was set for the launch and there was no way I was shutting down my computer without getting a purchase confirmation first! One week later we are here, I just launched my blog and had been debating and debating over what my first post should be about, when I come home to a little brown package on my doorstep. It only seems fitting that my first post be about this palette, and to be honest, there was zero chance at me waiting any longer than .5 seconds to brake this puppy open, so without further adieu, here we go! Currently the palette is out of stock (it sold out in something like 43 minutes!) but when it comes back in stock you can buy it here! 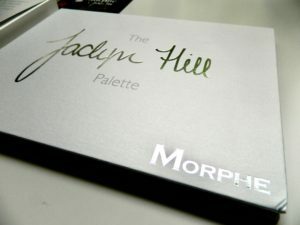 The palette runs for $38 dollars and for that you recieve 35 custom shades created by Jaclyn herself. When purchasing the palette I saved myself 10% by using the code “JACATTACK” (as you should too), so with shipping I ended up paying around $42 total. 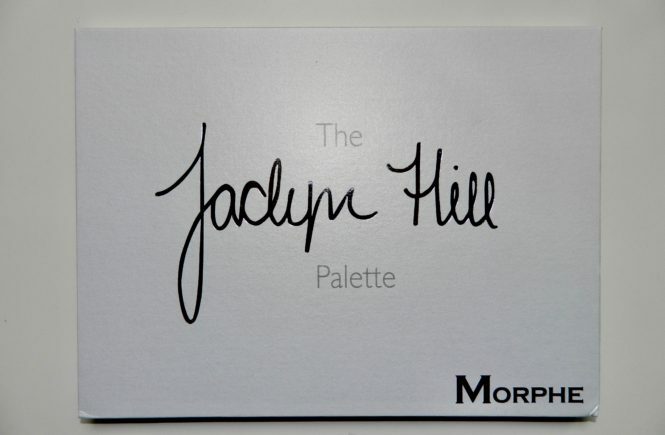 Anyone who knows makeup knows that less than $2/shade is an absolute steal, and since it has Jaclyn and Morphe’s name on it, I could be confident in the quality. When you first receive the palette it comes in a cute little white box. The front looks the exact same as the palette (bottom right) and the back of the box has four pictures of Jaclyn with a cute little blurb about the palette. 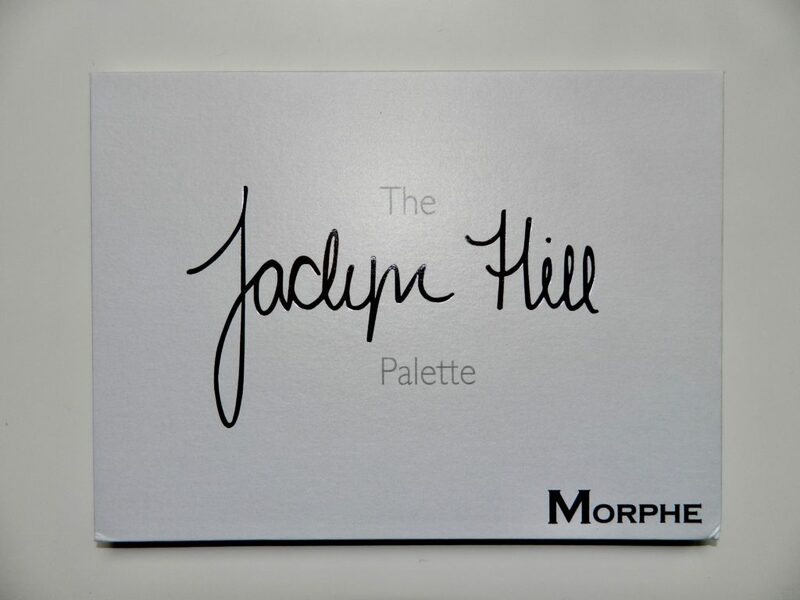 The package also comes with a black card (top right) that shows a picture of Jaclyn with the palette, and on the back has the names of all the shades! 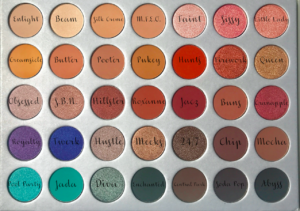 To make life easy, I took a picture of the palette and inserted the names on top of the colors for you all to reference. 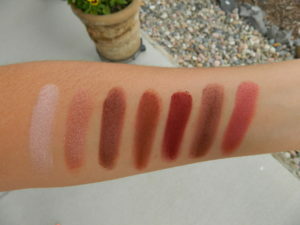 Next are swatches of the shades, row by row in the palette. 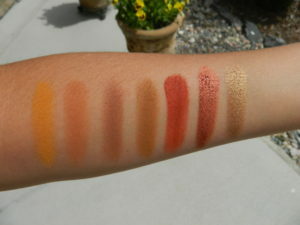 Just for reference you should know I have golden/olivey skin with warm undertones (so you can imagine how crazy I am about all these warm shades!) 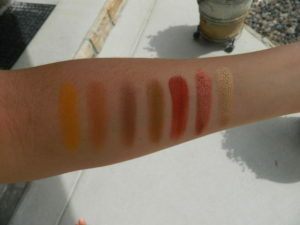 Following the swatches are a breakdown of my favorite colors just from swatching, as well as a makeup look I did with the palette! 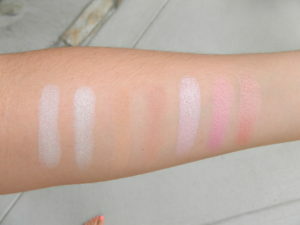 Enlight: This is a very neutral, very white highlight with a satin finish. To me it almost looks iridescent with some lavender undertones. Beam: A perfect highlight shade for people with skin tones similar to mine and darker. 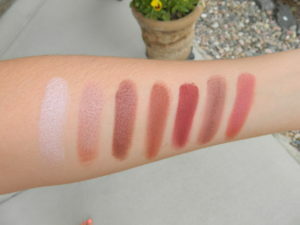 M.F.E.O: My perfect transition shade!! 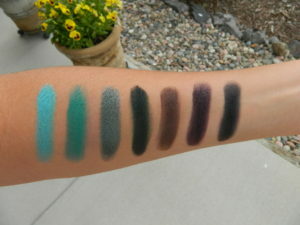 Sissy: I would usually never pick a color like this but Sissy is the coolest duo chrome shadow ever! Its half pink and half gold and completely beautiful! I cannot wait to wear! Creamsicle: If you need a good mustard yellow, this color is amazing. 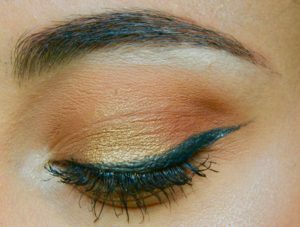 Dusting a color like this over your eye look when you are done warms it up perfectly and looks amazing on all eye colors but especially brown! Pukey: UGH! This color is perfect. I’m so obsessed that when I started putting this on the first time I ended up just putting it all over my lid and blending it out because its that beautiful. Hunts: I’m so excited about this color! I usually do not go for reds at all but this one has such a burnt look and so much brown that I think its going to be amazing on the eyes, plus this sucker is no joke with pigmentation. Firework: Ok, again, red on the eyes is not my favorite but holy crap this is the butteriest eye shadow ever. One swipe and you are done! Queen: Definitely a favorite. I love golds on the eyes and this one is incredible! S.B.N: The name says it all. Smokey but natural. Throw this on all over the lid, blend it out, and you’re out the door. Roxanne: Ok, again with the warm browns, I know. 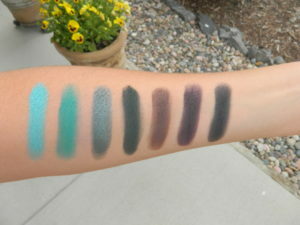 But these mattes are amazing!!! 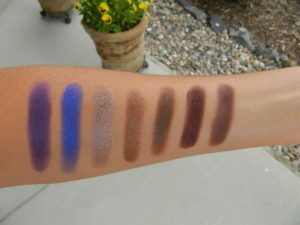 Twerk: I literally never reach for colors like this when I am doing my eyeshadow but I always want to buy cobalt blues when I’m shopping for makeup! This one is super unique, again it seems to have a little iridescence with some purple tones. Can’t wait to try! 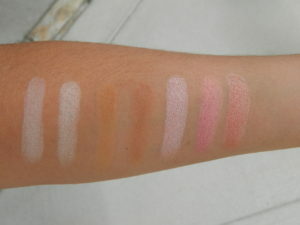 Hustle: This shade is so similar to Satin Taupe from MAC (a favorite of mine), but 10X butterier and more pigmented. Ugh! Meeks: I am obsessed with this shade!!!! I love shades that you can just throw on and be out the door (if you couldn’t already tell) and this one has the perfect amount of brown with the gold. Love! Pool Party: Smoke this out under the lash line and your look is amplified and way more fun. This color is amazing! Diva: I am SO EXCITED to try this color. I have been looking for a green that doesn’t look like I am wearing straight up green eyeshadow. This one is olivey and perfect! Central Park: OK I typically go for warmer browns (like Chip, obsessed), but this one really caught my attention. 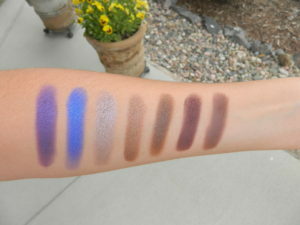 I’ve been looking for the perfect cool toned brown like this to try mixing up my typical warm looks and this one is so pigmented and amazing! Plus its named Central Park. Come on. You know I’m obsessed. Juuuuust incase you haven’t had enough, I also couldn’t help myself but to do a makeup look. Shades used are in the caption! So if you couldn’t tell from my gushing and obsessing over this palette, I love it. I can honestly say I will use every shade in here, the shadows are creamier and more pigmented than any other shadow I have used before, and you cannot beat the price point. Thank you so much for reading, I hope you find this post helpful, and I hope everyone who’s interested can get their hands on the palette! Jaclyn Hill is the Queen, so they’re sure to go fast! love the beauty blog !